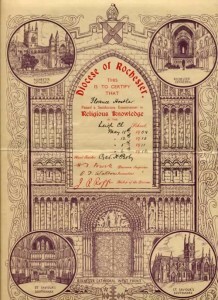 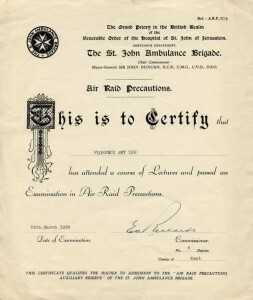 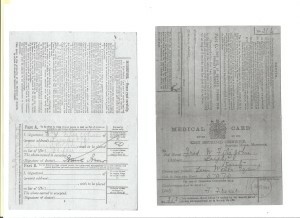 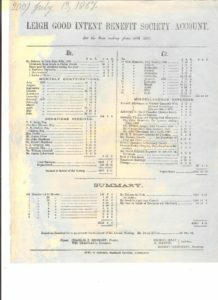 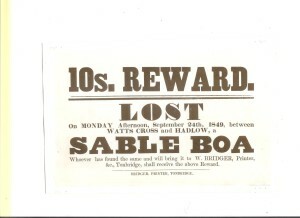 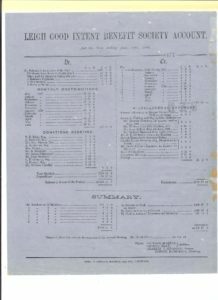 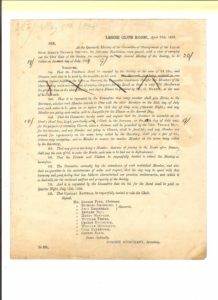 Below are pictures of various miscellaneous documents/papers that we have in our archives. 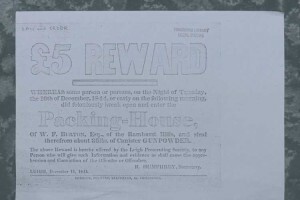 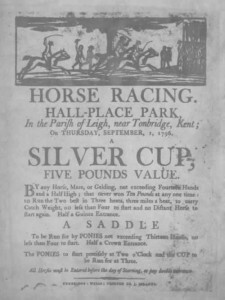 Some of these can be found attached to other articles on the website. 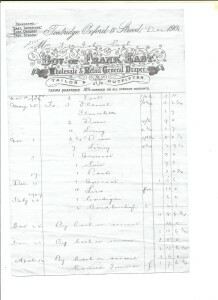 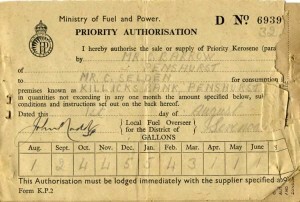 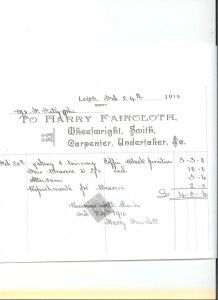 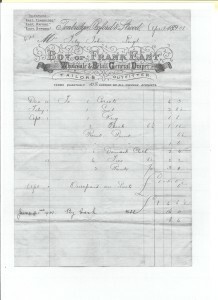 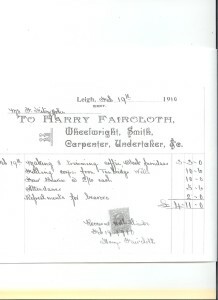 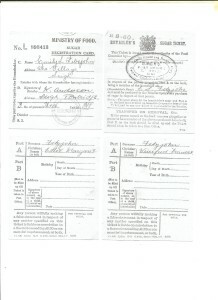 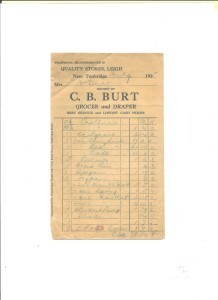 Harry Faircloth's Receipt for Burial of Susan Fitzjohn 1910. 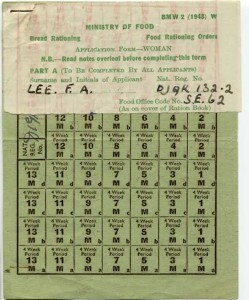 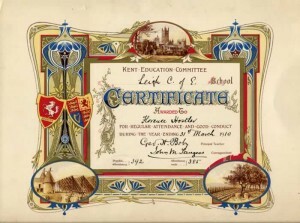 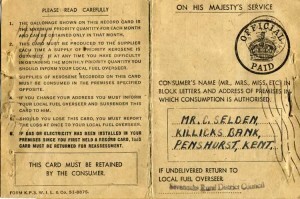 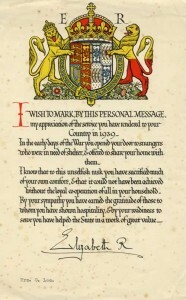 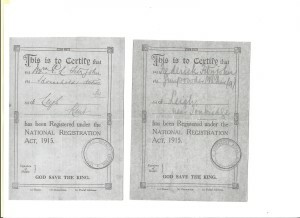 WW1 Ministry of Food Card, showing W Anderson's signature as shopkeeper, plus Emily and daughters, Ethel and Winifred. 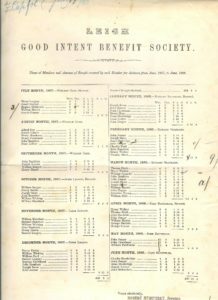 Good Intent Benefit Society June 1867-1868 - name of members and amount of benefit received. 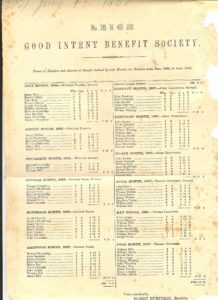 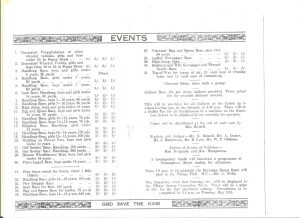 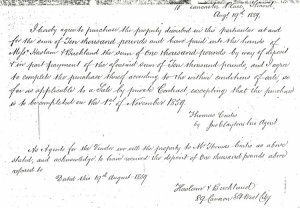 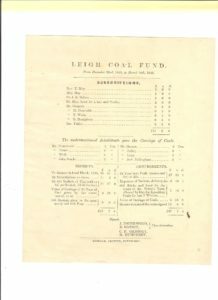 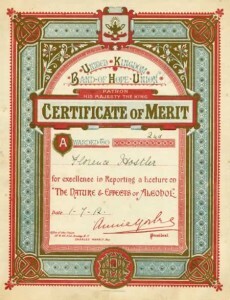 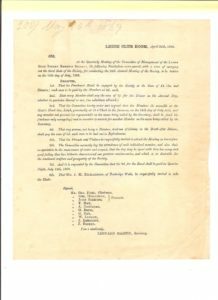 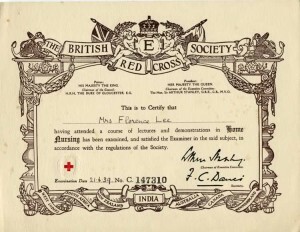 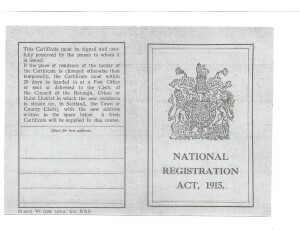 Good Intent Benefit Society June 1866-1867 - name of members and amount of benefit received. 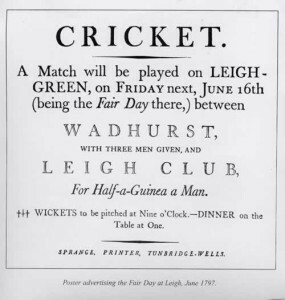 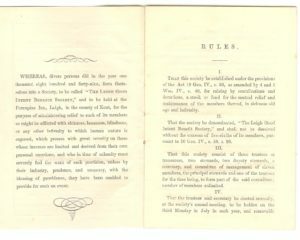 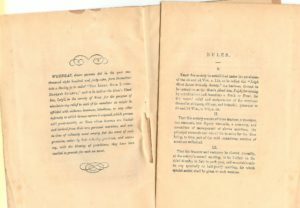 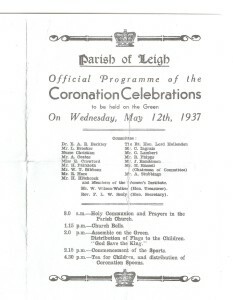 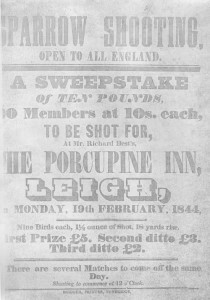 Opening page of the rules of the Leigh Good Intent Benefit Society on its foundation in 1849. 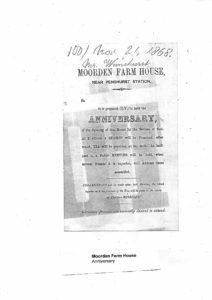 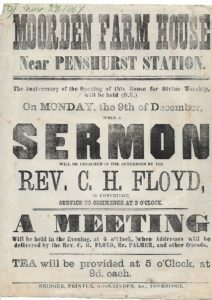 Moorden Farm House: Anniversary of Opening of house for Service of God.